Ubisoft has announced the development of Assassin’s Creed Revelations, the third part of what is now being called the Ezio Trilogy. The latest game is a direct sequel to Assassin’s Creed 2 and Brotherhood and will once again follow Ezio, this time as he takes on the Templar army in Istanbul Constantinople. While we’re of course excited about another chance to crack out our blades, throwing knives, poisons and pistols, we can’t help but clench our fists in frustration at the lack of a “new” AC title. Ubisoft placated us last year with Brotherhood and while it was all well and good we’re still slavering for the ‘third’ game as it were. 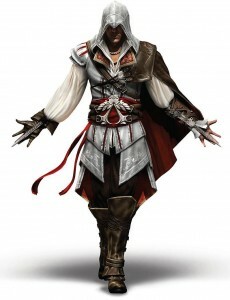 We can only be held off by Ezio for so long before we need the rest of the story and answers to our questions. Get the lead out guys. In preperation for one of this years most hotly anticipated games, Rockstar Games has teamed up with the LA Times to present us with this 1947 Crime Map of LA. The map is a nifty little thing with articles linked to the crimes listed and who knows, it may even come in handy while you’re playing it. As online marketing goes, it’s a brilliant stroke, and the use of the LA Times to promote it is a great, targeted method of drumming up hype. As for the game itself, hopefully it can do for the genre what games like the CSI series have thus far failed to do. LA Noire is released in North America 17th May and in Europe 20th May.